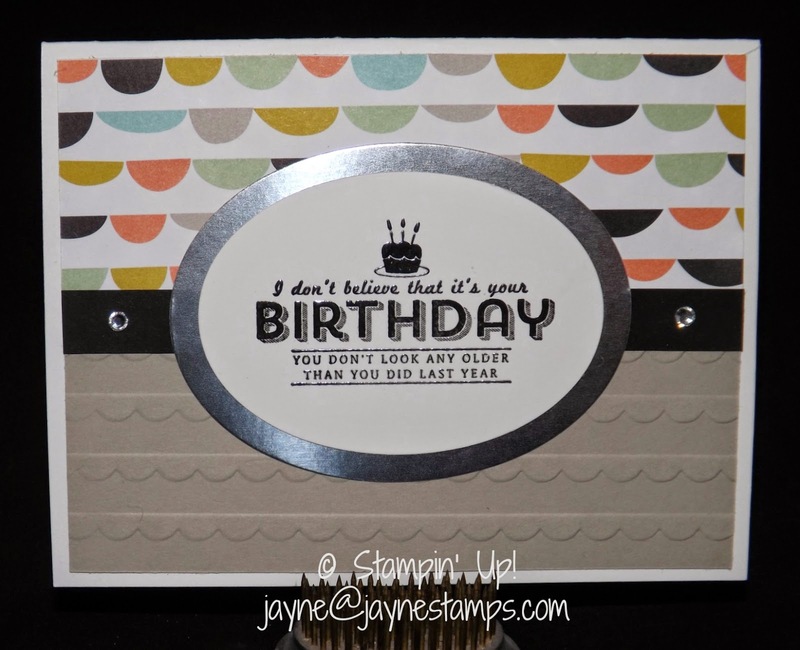 I had mentioned before that I am teaching some Continuing Education Stamping Classes this year. It's been fun to meet new people and get a chance to stamp with them. 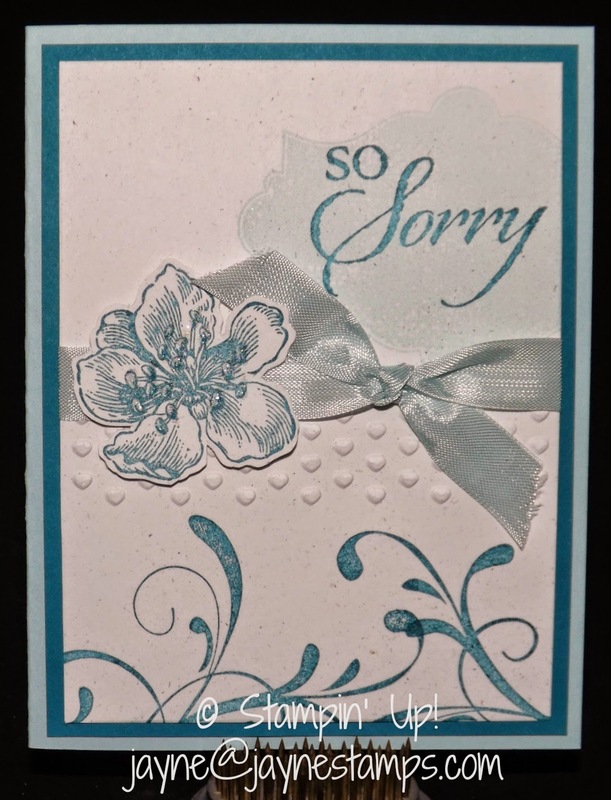 The last class we did showed embossing plus a couple of easy techniques that take a card up a notch. Here are the cards that we made at that class. The first one was made with the Everything Eleanor stamp set. I got the idea from my friend Sara Bolz. We cut out the flower and added Dazzling Diamonds glitter to the center stamens (it's hard to see in the picture). 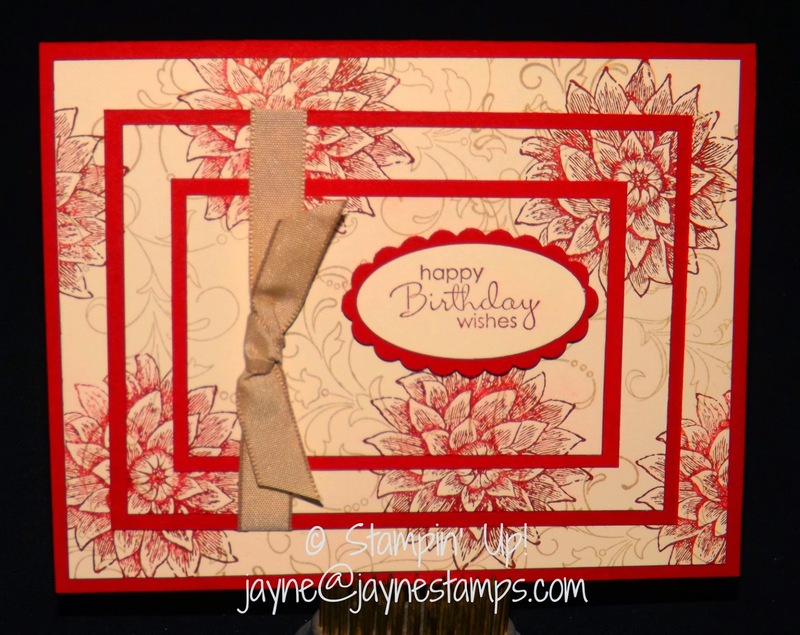 We also added some texture with the Adorning Accents Embossing Folder (the hearts). Even though the card is basically monochromatic, just adding those extra touches stepped it up a bit. The second card used Designer Series Paper, the Scallops TIEF, See Ya Later Sale-a-bration stamp set, and Silver Foil Sheets. The main image was stamped in Craft Black ink and embossed with Clear embossing powder. We then cut that out with the Ovals Collection Framelits. I then showed the ladies how to do Triple Time Stamping. This is one of those techniques that is really so easy to do, but creates such a wow factor! 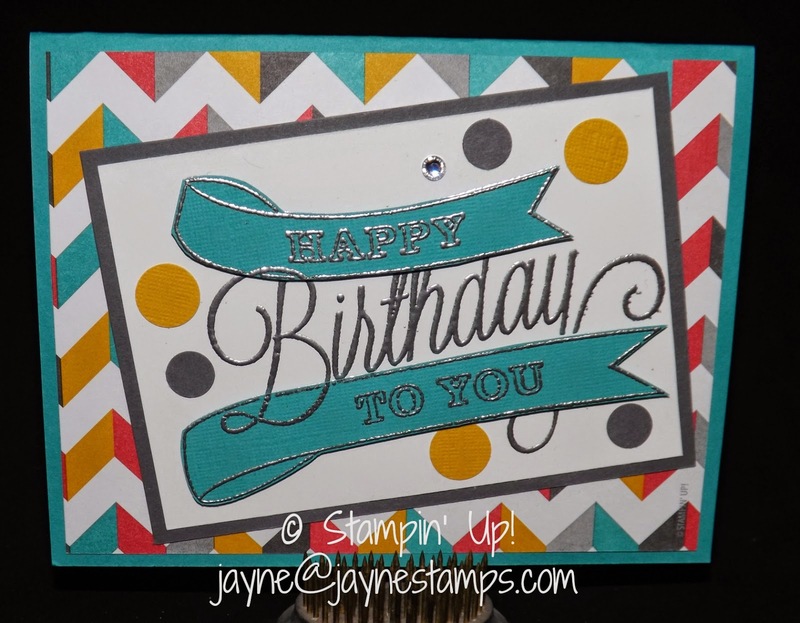 The stamp set used was Creative Elements with Petite Pairs for the saying. It's stamped in Cherry Cobbler on Very Vanilla cardstock. We added some Crumb Cake Taffeta Ribbon for a little extra touch. I think this was everyone's favorite technique of the night! The last card was one I made at a lot of my classes that month! The technique was paper-piecing with the Another Great Year stamp set. The image was embossed with Silver emboss powder and the Kaleidoscope DSP was used for the colors.